Lovely Rokoko-Skirt. Best worn over another floorlength skirt or with one of my phantastic FairyPants! A very unusual skirt, which adds that fairytale touch to your outfit! 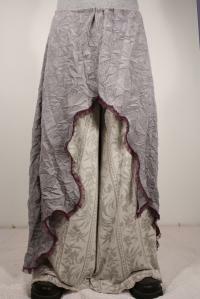 Please note- this articelnumber online is for the skirt not for the panst shown underneath it!